It's wonderful when kids look forward with excitement to your Sunday morning kidmin program. After all, real learning and growing occurs when kids are motivated and involved. But, it's easy to keep all the excitement within your children's ministry. 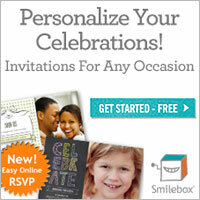 Why not extend your focus and provide some excitement for the whole church family? It's easier than you think. Is your church planning a special service to start the new year, introducing a new sermon series or commencing a new program? Why not suggest a simple party to highlight this special event following the service? Isn't that a lot of extra work? Will the adults enjoy it? How many extra volunteers will we need? All good questions... but let me briefly outline the Ice-cream Soda Party (in Australia, we also call them 'Spiders') that we held last Sunday and you can see for yourself. And.. I'm sure you'll think of even more ideas that will create real interest and build community within your own church family. Step 1: Get your ideas together and run it past your pastor or church leadership team. Present your ideas with enthusiasm and generate some excitement amongst this group. We included the women's ministry team and they suggested their ministry also provide a gourmet sandwich lunch- great! Step 2: Promote your event well in advance. If you're looking for a powerpoint slide/flyer design to use, you can find it here.. Add the image to your church/kidmin facebook page and upload it to your website. Create some posters and display them prominently. Step 3: Gather your resources. This type of party doesn't really require too much and all of the decorations were assembled around a couple of tables. We used pastel coloured tablecloths, tall plastic cups, pastel-coloured straws, serviettes and balloons. Don't forget some long-handled plastic spoons. We downloaded the soda labels, popped them on small bottles of soft-drink and used these as the main table decoration. You can find the label printableshere. We also downloaded the banner idea from Holly's Paisley Petal Events.. see here.. but used different letters. Our banner spelled out, 'Here's the Scoop!' If you'd like to create the same banner, you can find it below. And we made some hats for those who were making the ice-cream sodas. Actually, I had thought it would be easy to find and purchase these, but no. So I used the instructions found at Creative Momma, here, to make the hats. ( They were very popular. Our teenagers wanted to wear them and help out- great!) Provide some big tubs of ice to keep the drinks cool until you need them. And, of course, you'll need ice-cream, scoops, soft-drink and toppings. .We used 100s&1000s, choc drops, sprinkles, frozen berries, mini-marshmallows for toppings but you could use whatever takes your fancy. Stay away from crushed nuts to avoid any allergic reactions. Set them out in small dishes for anyone to add to their ice-cream sodas. Step 4: Set up your area. Honestly, this took very little time but allow yourself extra time in the morning so you don't feel rushed.